A sore throat can be extremely painful and if proper measures are not taken at the right time, the condition can worsen to a great degree. There are various ways through which you can get rid of this condition. 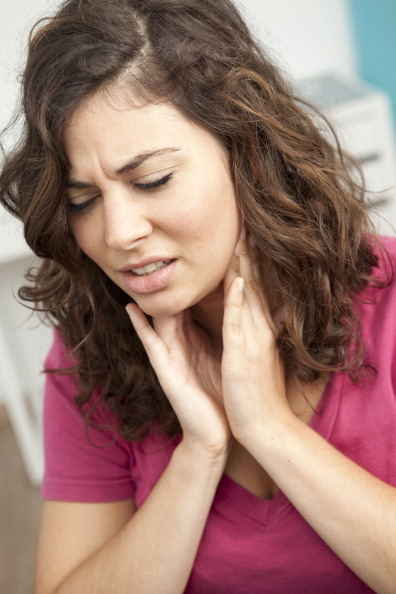 You need to be extremely careful with a sore throat as any negligence may result in increased pain. There are medications for a sore throat that can relieve the pain immediately. However, you need to consult with your doctor before taking any antibiotics, so that there are no side effects later. Meanwhile, there are many things you can do to soothe your throat, and ease the pain. This is one of the most effective remedies for soothing a sore throat. Add one teaspoon of salt to a glass of warm water and gargle for some time. Repeat the same process until the warm water finishes; you will see a significant change in the condition of your throat. Cough syrups are known to ease soreness in the throat. Take two tablespoons of a cough syrup after eating food. This is the best way to ease the condition of the throat for small children, as they cannot take tablets or honey. You can take two teaspoons of raw honey to get rid of a sore throat. Another way to improve your condition would be to add the honey to your tea or use it with lemon or ginger. A warm cup of tea also helps in improving the condition of the throat. However, this is not a permanent solution to the problem. It may make you feel better for a few hours but the soreness may return after some time. Consult your doctor so that he/she can advise some antibiotics for the problem. These medicines can help in relieving the problem quickly, as they are scientifically proven solutions. However, you might experience a few side effects. Whatever the problem is, it can be relieved if you take proper rest. This may take some time but you will feel a lot better if you get some sleep for a few hours, and nap more frequently when you are ill. Stress and tiredness may also be the reasons behind a sore throat, so getting some rest may be the solution to the problem. Pediatric Urinary Tract Infections: Could Your Child Suffer from Vesicoureteral Reflux? Do You Suffer from Fall Allergies? Q&A with Jeannie Snyder, R.N.